In defending my book A Lying Spirit, I have decided to look at the Reformed confessional documents. 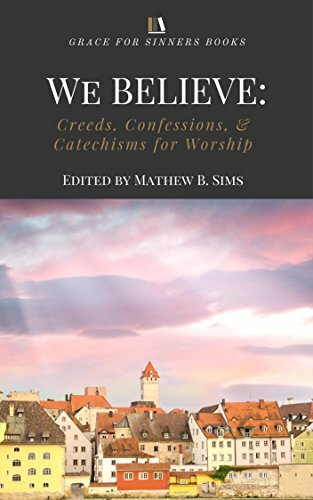 I have already looked at the Heidelberg Catechism. I confess that there will be almost nothing new in this post. My conviction is that by reading the confessional documents in context their primary concern is the defense of neighbors. Here is a great example of words being used in a specific context that can result in an incorrect black-and-white reading. The Divines restrict anything detrimental to "truth." But this application is defined as "injurious" to any "good name." I think the use of the word "truth" here is unfortunate. What is really being communicated is that false witness diminishes a person's good name. This type of false witness enacts unrighteous judgment against an otherwise righteous person. It is a false conviction. I say in all humility that the Shorter Catechism should read "forbiddeth whatsoever is prejudicial to righteousness." This would better capture the meaning of the 4th Commandment. The Larger Catechism does explain this better to a degree. It says "speaking the truth, and only the truth, in matters of judgment and justice...defending their innocency" (Q&A 144). Though the line comes much later in the catechism answer, the crucial nature of " defending their innocency" has to be brought to the front of the answer. When the catechism commands, "standing for the truth... in all other things whatsoever" it has in mind "the good name of our neighbour, as well as our own." It is even concerned with "defending it when need requireth." The whole of the catechism is bent around protecting our neighbors. I can hardly work through every portion of this answer. I'm hoping all the negative connotations of what is forbidden in this commandment sticks out. The few phrases that might condemn holy deception should be accounted for, however. "All prejudicing the truth" is concerned with "the good name of our neighbours...especially in public judicature." "Outfacing and overbearing the truth" is contrasted with "giving false evidence...and pleading for an evil cause." The catechisms answer ends, "neglecting such things as are of good report, and practicing, or not avoiding ourselves, or not hindering what we can in others, such things as procure an ill name." The full intent of this answer is the complete defense of innocent neighbors. If the point of emphasis for the Westminster Divines was the defense of neighbors, then the practice of holy deception, as exemplified in Scripture, is without condemnation. But, if the Westminster Divines meant to reject all non-truthful speech then holy deception falls under their condemnation.